Come with me from the mountains to the sea. How well do you know the Murray River? Do you know where it flows from and too and what is along the way? This is the perfect book to do some lounge room exploring from! Ronald Harvey has written some great books which explore Australian environments, share secrets and learn about the people, animals and plants that live alongside and amongst it. 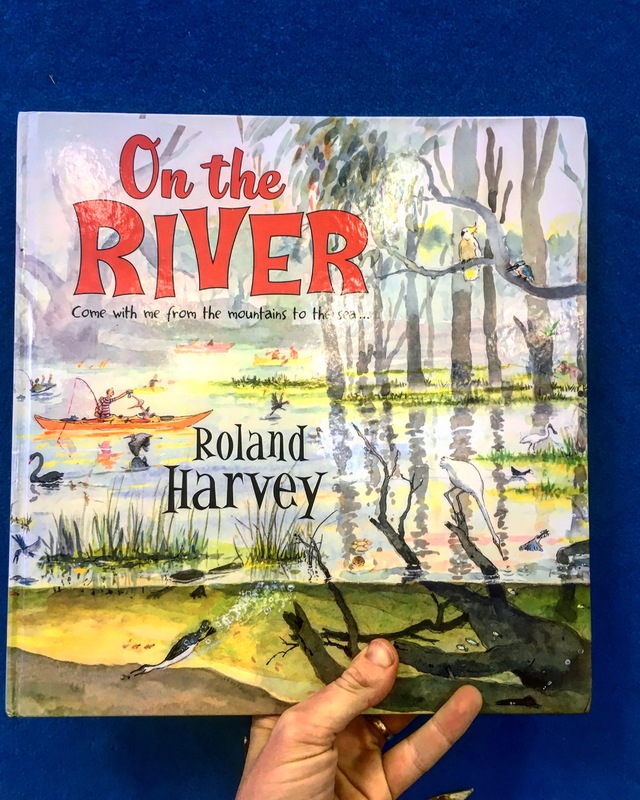 On the River is a delightful picture book with detailed illustrations on every page that leave you searching for the main character, bird life, antics of the local people and the amazement of the river itself. This book is both educational and entertaining as you travel along thousands of kilmotres through farms, tourist areas, dams and towns. 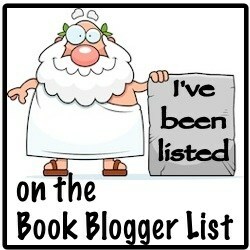 The reader learns about the importance of the river and the devastating effect human activity is having on it’s life. As humans clear more land for housing, over fish rivers and take water for farming the river and it’s diverse ecosystem is failing. There is more drought within towns that once thrived on the river and more toxic bursts due to chemicals we put down the drains and onto farming produce. So many people love and enjoy this river that it really is time we started to look. Ronald Harvey drives home this big issue through facts about the river, it’s history and the people who love it. Look at the map on the inside cover and then find another map of the Murray River on the computer or an atlas. Look at the different towns along the river and find out more about them. Find out where your water comes from. Where is your water tank? Local dam? Water tower? Check out the health of your local water source with some simple water testing kits. Some are more in depth and can check for all sorts of minerals, metals and bugs! What would we do if we did not have rivers? How are rivers the life blood of our country? How would Australia look if we did not have the vast river system that we do? And what might it look like if we do not take care of these rivers? 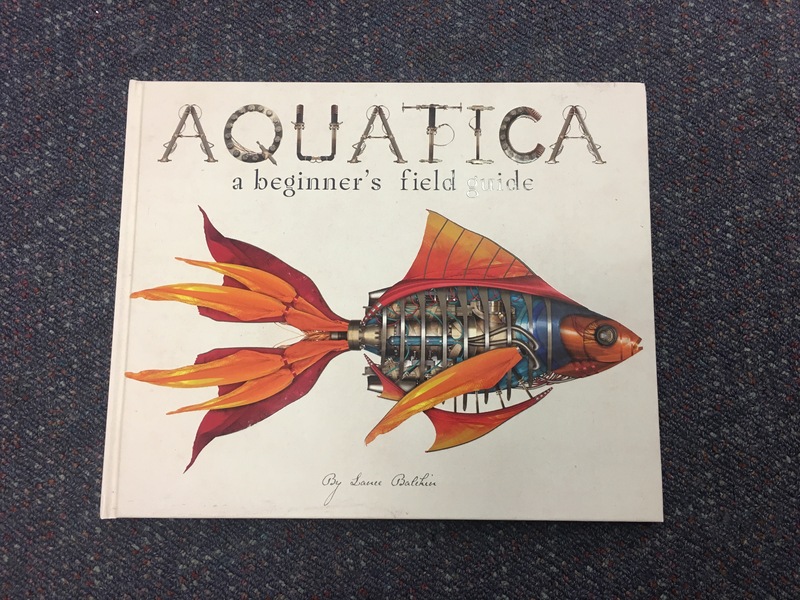 Aquatica: a beginner’s field guide by Lance Balchin. Before the earth’s environment collapsed, under the weight of industrial pollution and radioactive waster, the oceans teemed with an abundance of life. It’s now 2200 and all that moves now is only mechanical…..
Aquatica is the second book by Lance Balchin which explores a future where all animals and insects as we know them now are long extinct and all that we have are mechanical creatures. Aquatica explores a world filled with aquatic animals who have evolved from robotic drones into free thinking, dangerous attackers. Life in 2200 is dangerous yet amazingly interesting. The protagonist Liberty Crisp, aged 15, is on a mission to document each of these species and try to befriend them so the world does not destroy itself even more than it has. You can spend hours looking at the details of each mechanical creature and reading the detail of it’s habitat, speed and lifestyle. Lance Balchin ignites our imagination and makes the reader ponder the future – what do we want it to look like for our children? – Revisit Mechanica and the activities included. – Visit a nearby water way and investigate the different living species that live within this environment. – Look at what you put down your drain at home – could any of this effect marine life? – Make your own Aquatica creature and test to see if it can live in water. – Look at organisations such as WWF, Greenpeace and see how they help our oceans. All I want for Christmas is Rain by Cori Brooke and Megan Forward is an uplifting story about a young girl’s belief in Santa and the power of Christmas Spirit. A family of farmers are about to celebrate Christmas but the farm is parched, the dams are dry and spirits are low. The watercolored illustrations by Megan Forward highlight the dryness of the country. Jane, a strong and thoughtful young girl is an inspiration to any youngster who is yearning for more presents for Christmas. Jane encompasses the true meaning of Christmas when she travels into town on a ‘long shiny train’ and asks Santa for one thing – rain! All I want for Christmas is Rain is a melodic read and the illustrations add to the emotions of the family over the Christmas period. Children from the country will understand Jane’s position and children from the city will gain some insight into the harsh realities of farming life in Australia. Perhaps even gain more appreciation for the places our produce comes from. All I Want for Christmas is Rainis a great new story from New frontier publishing would be an excellent addition to the Christmas gifts – alongside many local and handmade toys, tickets to shows and love rather than more plastic things. How does this link in with sustainability? Review or learn about the water cycle. Link this knowledge of the water cycle to a rain map of Australia or the country you live in. Why do some areas lack rain? Look at the influence of mountain ranges, coastal living and the role major rivers play in the outback. 2. Where does our produce come from? Using supermarket brochures, local farmers markets and and social enterprise networks; work out where they get their produce from. Is it sourced local? Interstate or from overseas? 3. How is different produce made and does it rely on water? Where is rice grown in Australia? Create a map of the rice growing areas. How is rice grown? What is needed – create a timeline of rice growing . How much water does it take to produce a bag of rice? Is white rice a good crop to grow in some areas of Australia? Is there a better alternative to this grain that may not rely on as much water? Create a more sustainable way to grow rice or a better crop for our environment. Write down a list of things you can give to others for Christmas that have less of an impact on the environment. This could be tickets to shows or places, handmade items. Munkle arvur and the big dry – some simple ideas! 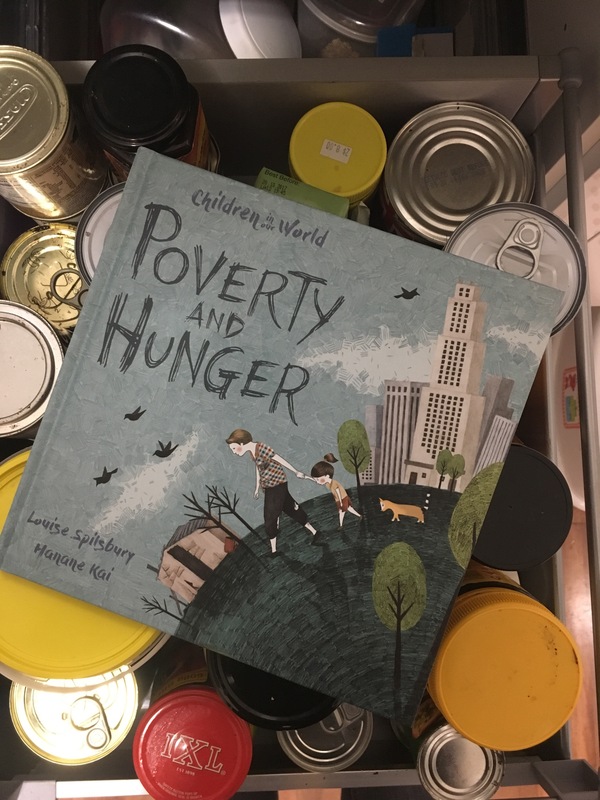 This is a great read aloud story for all children as it introduces then to many different literacy devices and a big environmental issue of water conservation. This book reminded me of Dr Suess as the story is filled with nonsense words, alliteration and rhyme. 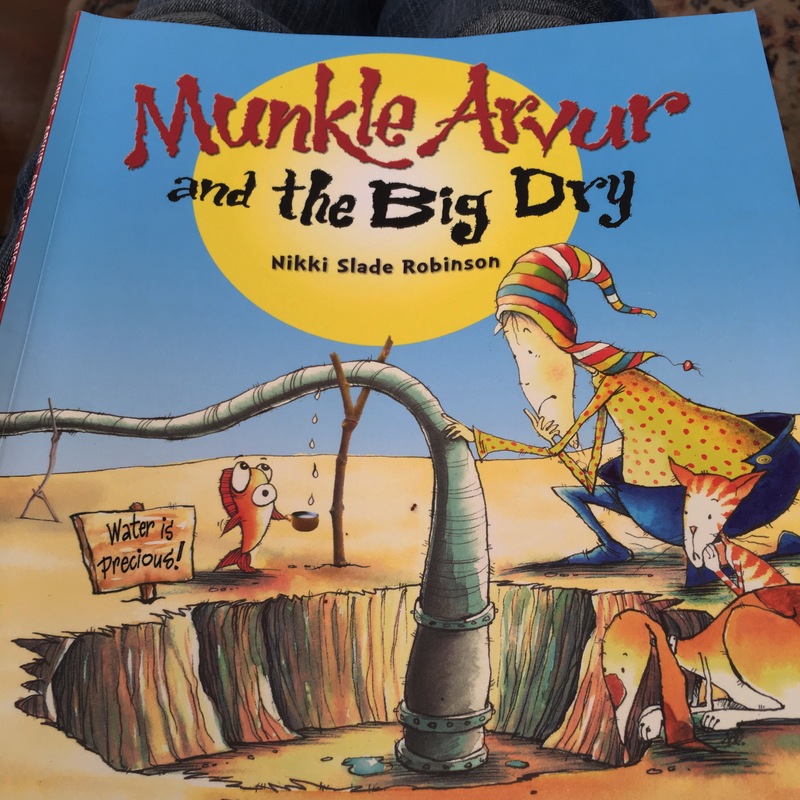 Readers are introduced to the importance of water conservation through this energetic story of the water stealing Bod and the Eco loving Munkle! 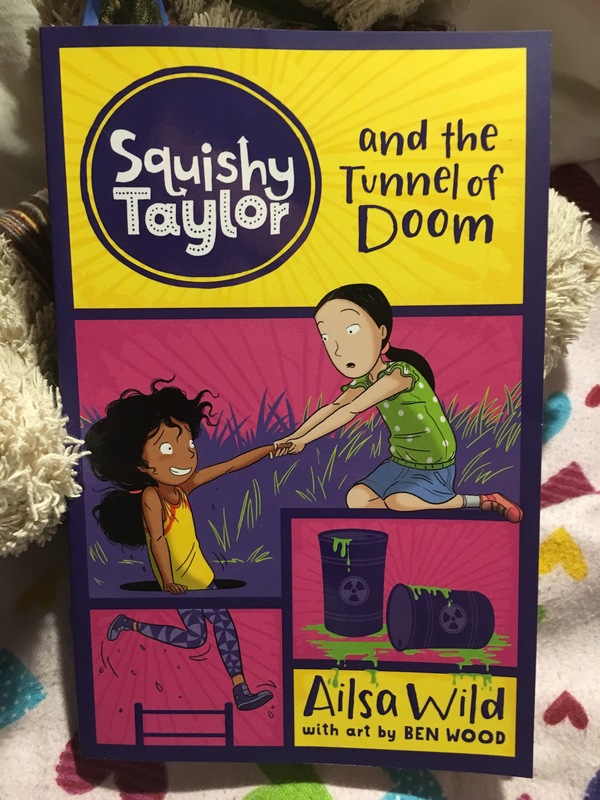 It was a refreshing environmental tale as I find many have a sad tinge to them:this one doesn’t but still sends across a message for our young readers to take in. Play with alliteration! Can you make up sentences that contain all the same sounds as your child’s first name sound? Rhyme! As you read see if your child can finish off the sentence. Nonsense words. What do these words really mean? How did Nikki Slad Robinson come up with them? Try to create your own words by blending two words together! Compare: find some dr Suess books and compare the language and writing style. Try The Lorax as this also has an environmental theme. Do you know any Bods? Keep a water diary at home to see who is the biggestBod in your house! Think of some ways you can conserve water.